Greening Wingrove’s work in Arthur’s Hill and Wingrove has been highlighted on a Government website. The website, which promotes the work of community interest companies (CICs) around the country, notes the impact Greening Wingrove has had in encouraging local volunteering and bringing neighbours together. 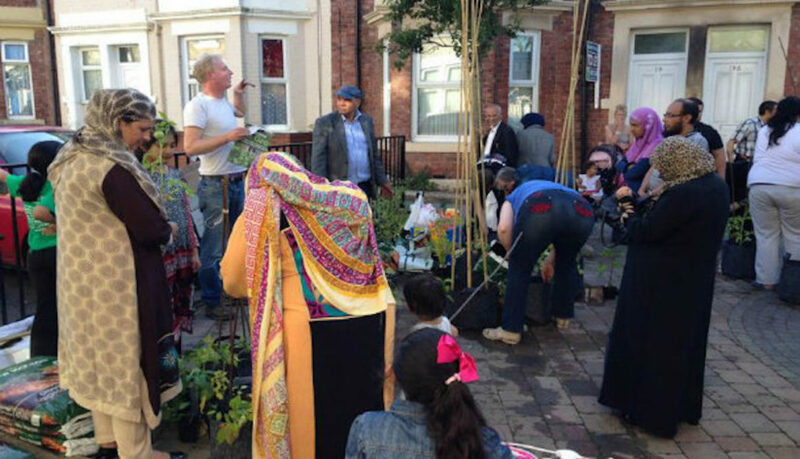 It highlights the success of the popular Vertical Veg street pop-up event programme, which encourages local residents to grow vegetables, herbs, fruit and flowers in their back yards or at the front of their homes. Greening Wingrove’s action on litter in our streets also gets praise, and the report draws attention to a Prime Minister’s award given to a local primary school pupil for his work in challenging litter and inspiring the community to play their part. Greening Wingrove CIC was set up to continue the work of a Lottery funded project which ran from 2012 to 2017. It aims to improve the local area by helping create more community involvement to make it a better place to live. It runs as a non-profit community business, and although it has struggled to raise much-needed funds, it has slowly raised its income levels to a point where it has been able to employ local people in making positive changes to the area. “Our primary concern is that community benefit is clearly demonstrated”, says CIC regulator head, Ceri Witchard. It seems Greening Wingrove has met that standard. You can find the feature on the website of the Office of the Regulator of Community Interest Companies.